The Absurdity of Humanity. Photo by John McDermott. The Royal New Zealand Ballet (RNZB) is currently on a nationwide tour of Romeo and Juliet by Francesco Ventriglia. At the end of August, the company trialled its first audio described school matinee – the first time a full ballet has been audio described in New Zealand. The audio description, developed for the blind and people with low vision needs, is part of an initiative to make dance accessible to all New Zealanders. Earlier in the year, to celebrate NZ Sign Language Week, the RNZB offered a free sign-interpreted tour of its home in collaboration with Deaf Aotearoa New Zealand. In June, the company also offered a sensory-friendly performance for patrons with autistic spectrum conditions, sensory and communication disorders or a learning disability. International Ballet Workshops (IBW) is returning to Auckland in January, and registrations are already filling fast, with some classes on the Australasian tour already sold out. The popular workshops bring elite international teachers over twice yearly (such as Dusty Button last July). This summer’s workshop is the British Ballet Series, with guest teacher Ken Ludden, director of the Margot Fonteyn Academy of Ballet in New York. As part of the workshop tour, Ludden will be selecting dancers to help develop and also perform in the premiere of his new work. Registrations are open until the classes reach capacity (maximum 30 dancers per class). Everyone registered by September 22 goes in the draw to win prizes from IBW sponsors Capezio, Dance Desire and Dance Informa. All information can be found at www.internationalballetworkshops.com. ‘The Absurdity of Humanity’. Photo by John McDermott. 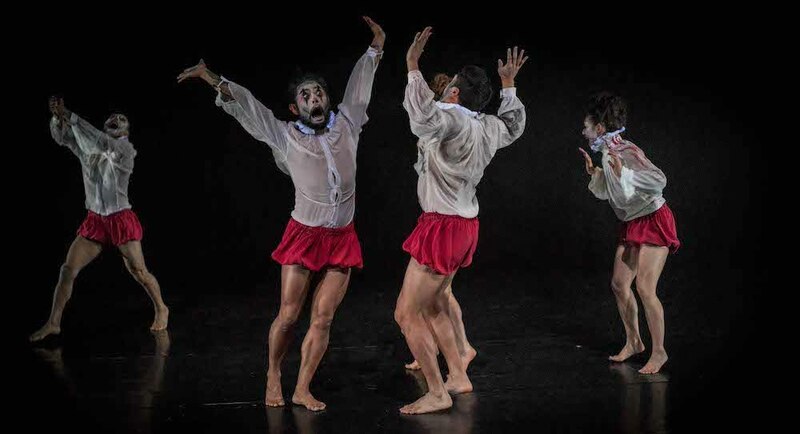 The New Zealand Dance Company’s 2017 National Tour of The Absurdity of Humanity is its most provocative and poetic tour yet. 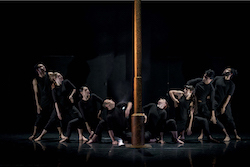 Artistic Director  Shona McCullagh has coupled the striking works of Ross McCormack (Matter) and Lina Limosani (Whispers from Pandora’s Box) to form a stage blazing trans-Tasman double bill that premiered to critical acclaim in Auckland in 2016. The Absurdity of Humanity will be performing on 9 September at ASB Theatre Marlborough in Blehneim. The production is “a powerful and compelling commentary on the human condition and it should not be missed,” according to Dione Joseph, NZ Herald. Book your tickets now, and don’t miss out on the opportunity to experience extraordinary contemporary dance! 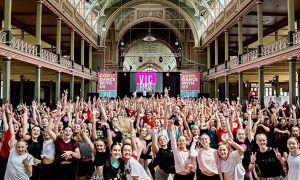 The New Zealand School of Dance (NZSD) is about to hold auditions for its full time course in four New Zealand and Australian cities during September/October. The full time programme prepares dancers for careers in dance performance. Students major in either classical ballet or contemporary dance while receiving a strong grounding in both disciplines. With NZSD graduates making a name for themselves (and the School) in most of the major Australian and New Zealand dance companies, and around 75 percent of graduates receiving professional contracts, this is one opportunity you won’t want to miss. This year, NZSD will be holding auditions in Wellington, Brisbane, Melbourne and Sydney. Apply online now at www.nzschoolofdance.ac.nz. New Zealand School of Dance student Christina Guieb. Photo by Stephen A’Court. 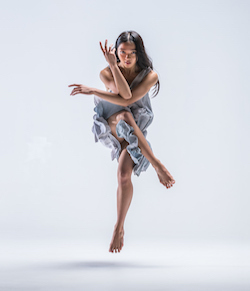 The New Zealand School of Dance (NZSD) contemporary solo season, ONCE, is fast approaching. Created by graduates from five decades of the NZSD: Mary Jane O’Reilly, Taiaroa Royal, Daniel Belton, Raewyn Hill, Emma Murray, Craig Bary, Sacha Copland, Janessa Dufty, Lauren Langlois and Eliza Sanders. Each piece has been crafted for one of the exceptional contemporary dance students who will graduate in 2017. In celebration of the School’s 50th anniversary, commissioning choreography from these admired dance makers gives expression to the School’s culture through innovation and fresh thinking. For more, visit www.nzschoolofdance.ac.nz/events/once. ONCE runs 8 – 16 September 2017 at Te Whaea National Dance and Drama Centre.